Children across the UK who have enjoyed a patriotic summer will have the chance to bring out the red white and blue once more this autumn. A new national fundraising day will take a look at forces life from the child’s perspective, raising money for the Army, Navy and Air Force’s own charities. Red, White and Blue Day, on October 12, is a chance to school children to dress up in red, white and blue, but also to think about what life is like for forces children. It is hoped that the event will raise thousands for ABF The Soldiers’ Charity, the RAF Benevolent Fund, and the Royal Navy and Royal Marines Charity. All three organisations help not just those in the forces, but their children and families too. Those who have signed up will be able to take part in other projects around the day, including a poetry competition and having a visit from a serving soldier, sailor or airman. "We know that for many thousands of forces children, life can be filled with uncertainty. They move around regularly, as well as having to cope with being separated from one or sometimes both parents, for extended periods. "This special day is for all children to think about our Armed Forces families, especially the children." Dressing up for the day will cost just £1 each, but other fundraising activities held by individual schools are encouraged. Pupils from Montgomery Infant School, Colchester, have been chosen to launch the event, on 21 September. The school has 235 pupils, 90 of whom are service children. It is expected that an Army helicopter will land at the school, and soldiers will hand out Red, White and Blue day goodie-bags and meet the children. "We have close links to the forces as so many of our children are from service families. We are delighted to have been chosen to launch this fantastic fundraiser and the pupils are all very excited about the plan to land a helicopter full of soldiers on their playing field. "We would like to encourage other schools to sign up too. It will be a great fun day on 12 October, as well as helping so many people in the services, and of course their children too." 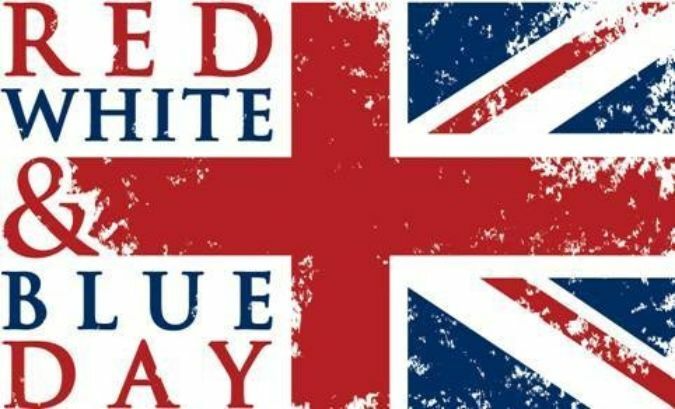 Schools can sign up via the Red, White and Blue Day website where there will be fundraising tips, information on which schools have signed up, and stories from service children.